After flaccid performance in the fourth quarter, Canadian Codpiece spanked investors with yet more losses this week, but promised textbook generic earnings next quarter after taking write-offs related to their discontinued line of orange skin bronzer. In other news, just did my first interview with high-yield bond manager Jeffrey Kociniwicz and can describe his junk perfectly. After a huge stock market run-up, some investors may find their portfolios are top-heavy, with too many high beta tech stocks and not enough good little earners. Diversifying into high-yield bonds may be just the shot of Viagra you need to firm up your portfolio and keep your masthead erect while sailing into uncharted waters, with inflation visible on the horizon. Remember, Mr. Fed Chair, we need a slow hand! 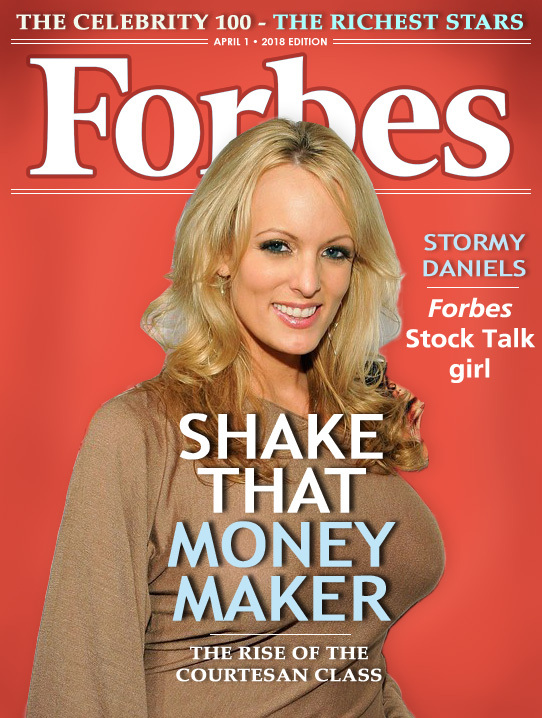 Till then, for Steve Forbes and the whole Forbes family, this is Stormy Daniels reminding you to shake that money maker!